Visual Interfaces for Mobiles @ NCSU: Find: AT&T iPhone 4 vs. Verizon iPhone 4: what's changed? Find: AT&T iPhone 4 vs. Verizon iPhone 4: what's changed? AT&T iPhone 4 vs. Verizon iPhone 4: what's changed? Is an iPhone 4, an iPhone 4? Not quite, now that Verizon has launched a CDMA version of the device -- in fact, there are a number of notable differences that you're going to want to consider before buying either model (or making the jump from AT&T to Big Red). We wanted to dig in and see exactly what has changed -- how does pricing compare, for instance? What features have been added or removed? In light of both Verizon's and AT&T's harping on 4G data in the past week at CES, do either of these phones support it? Let's have a quick look! Continue reading AT&T iPhone 4 vs. Verizon iPhone 4: what's changed? 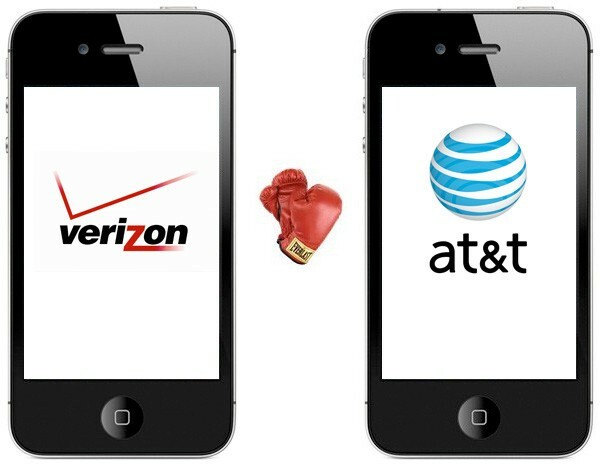 AT&T iPhone 4 vs. Verizon iPhone 4: what's changed? originally appeared on Engadget on Tue, 11 Jan 2011 11:59:00 EDT. Please see our terms for use of feeds.